Here you will find a one-stop shop for all the CRISM downloads on the website! 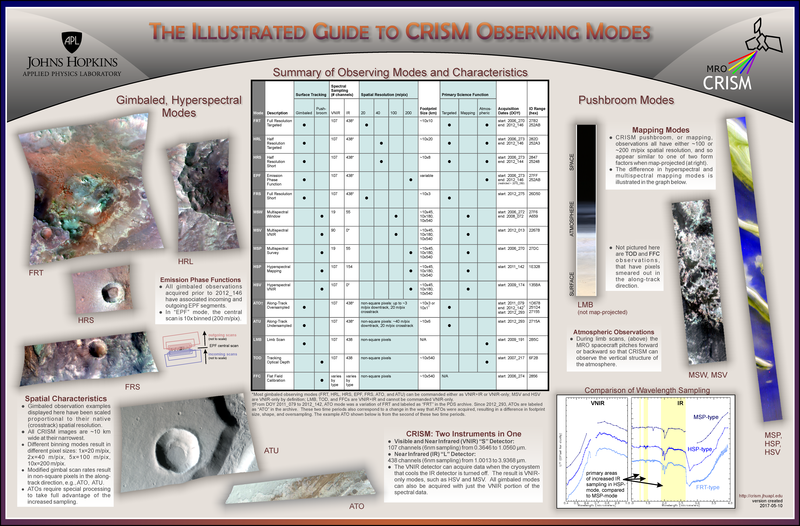 The MICA Files is a compilation of published descriptions and type locations of unique spectral features identified on Mars by using data from CRISM. 2017: Overview of CRISM data access, standard processing flow, and analysis.